When we think of August we think ... well, let's stay positive and just say... we're looking forward to cooler weather. August just does not afford ideal conditions for visiting beaches. At least not in the usual make the picnic lunch, grab the towels and chairs and let's go lolly-gag on the shore all-day-long kind of visit. Maybe that's just me... but there are so many other perfectly fine months to linger on our wonderful beaches that August is just not a draw for me. These days begin and end with temps in the eighties, peaking in the nineties, with high humidity. With all that said.... still, Florida people learn to work around the uncomfortable weather. Especially if you're like this Florida girl who just can't bear to be indoors. EVER. Besides there's a whole world of nature waiting outside to greet me. AND... you just never know what a trip to the shore will surprise you with. So I recommend getting out and about either very early in the morning or waiting until later in the evening to do some coastal browsing. These are delightful times to be there no matter what season of the year. 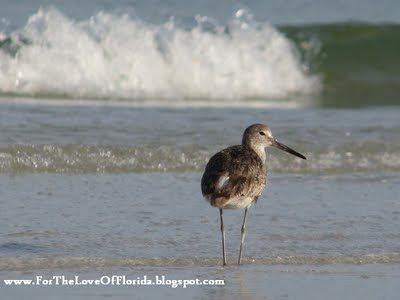 When the Gulf of Mexico is only a short driving distance away it seems a shame not to go there to hang out more often. 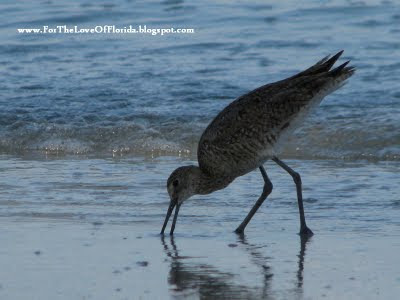 There isn't a whole lot of human activity on the beaches very early in the mornings. But one thing you can count on is the wildlife is out in abundance as the sun crests over the horizon. 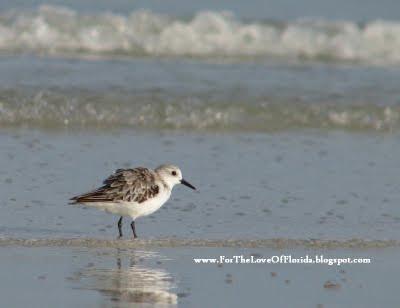 As I mentioned in an earlier post it had been many years since visiting Fort DeSoto Beach in Pinellas County. 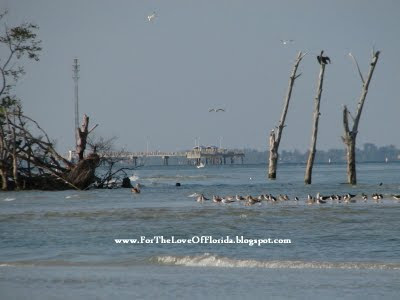 What a treasure that beautiful piece of land is where the Gulf of Mexico meets the entrance to Tampa Bay. It has been named America’s Top Beach 2009 for the second consecutive year by TripAdvisor, the world's largest online travel community. The park is vast with 1,136 acres made up of five interconnected islands. Annual park attendance averages more than 2.7 million visitors. 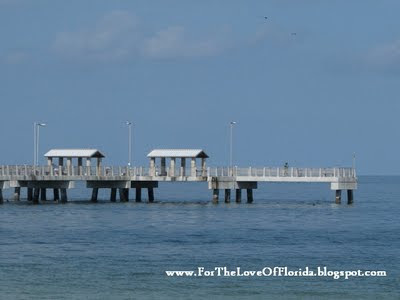 There are over 7 miles of waterfront, including almost three miles of the finest white sand beach in the United States. There is an 800-foot-long boat launching facility with eleven floating docks. And a 238-site family camping area with facilities including picnic tables, grills, water, electricity, washers, dryers, sanitary disposal stations, modern restrooms, showers, play areas, and a camp store. The park offers so much more than I've listed here. All of my information is right off the official website for the state parks which you can check out for yourself for lots more information if you're interested. It was a restful, quiet morning stroll for me. With camera in hand it's easy to lose all account of time. The worries of the world fade away and for the time being it's just me and my lens out to capture the beautiful and glorious world that God made. I took my time to enjoy every little nook and cranny of the public beach. 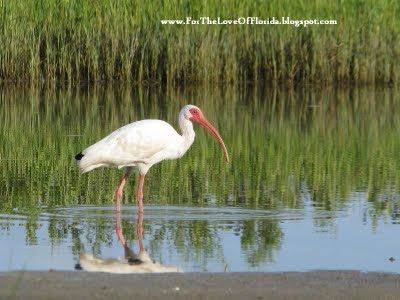 While just steps away from the white sandy shore is the back side of the bay with its inlets and bayous teeming with all kinds of plants and wild life. 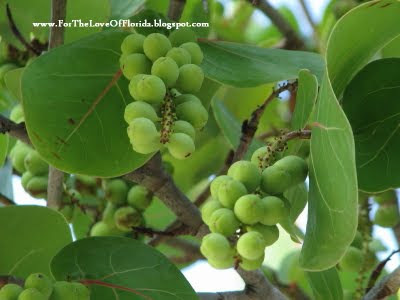 Sea Grapes ... which are loaded with... you guessed it... sea grapes this time of year. It was worth climbing the steps to the top of the Old Fort. Reading all the informational signs that I'm sure I've walked past a dozen times in my lifetime I learned a few things. Is this what people do once they get old and realize they've whisked past so many treaures in the hurry-scurry of ordinary life? As much as I'm loving my renewed desire to 'not take things for granted that have always been here'... I admit ... it makes me wonder if I'm old. If you're like me and live in the area but haven't been to the park in a while I suggest you give it another visit. It doesn't compete with Anna Maria Island or Longboat Key for white sands and pristine waters by any stretch (in my opinion) but its closer. 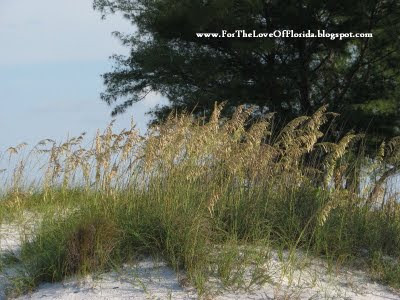 Over all, Fort DeSoto definitely has an abundance of Florida goodness to offer all on its own. 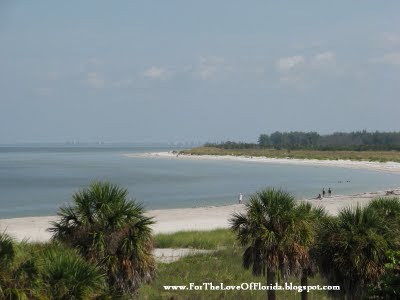 I'm going to go back when it's cooler and ferry over to Egmont Key for the day. 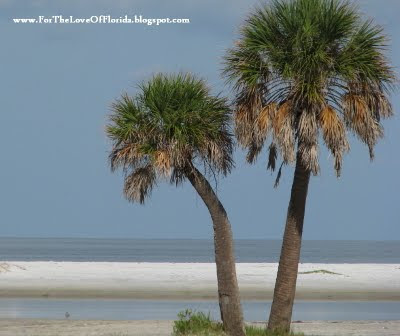 Next to Rainbow River, Fort DeSoto has become my youngest son's favorite Florida spot, which tickles me because that is where my husband and I used to hang out when we were his age. Sounds like a lovely time of day to visit. I'll have to try it! I can't tolerate the heat these days, but if I can drag myself out of bed, I just might do an early morning trip. 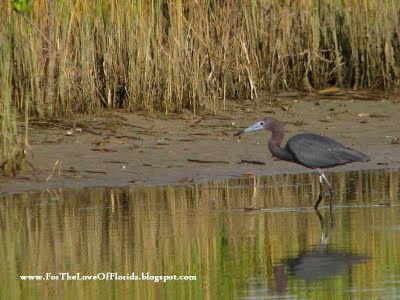 Have you been to Emerson Point or Robinson Preserve in Manatee County? You would like those, too. Definitely get out early... you will love it. Great ideas too. 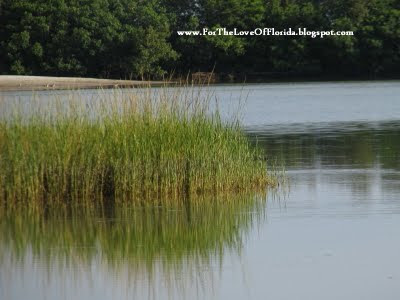 Emerson Point is on my list of places to visit but I didn't know anything about Robinson Preserve... very cool... thanks. 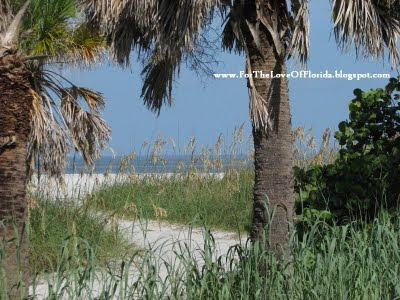 If your readers click on the link you posted to the Pinellas county park system, they will find links to not only Ft. DeSoto, the most outstanding Pinellas County park, but also an I live close to another jewel. 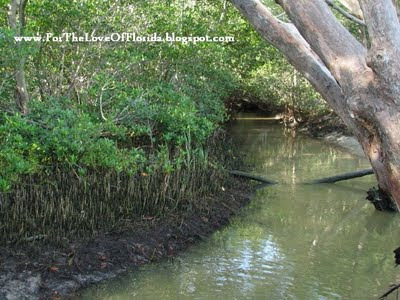 Fred Howard Park in Tarpon Springs at the other end of our lovely peninsula is just a mile from my home. Hawaii is the only other state that I have visited that has developed wonderful county parks. And they are not as well maintained as ours. Your blog is wonderful and I am very glad to have found it. Loved your post today. We love that place!Jon could hang-out at the old fort for hours, which leaves me free to roam the beach for treasures. And like Sherri,we like Fred Howard Park too. You sold me. 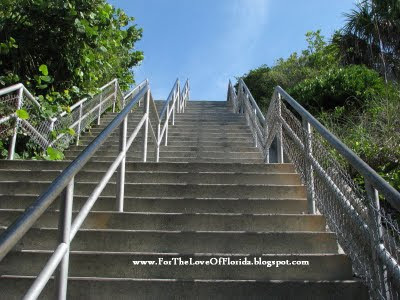 I will make the arduos 15 mile trek to visit Fort DeSoto for the first time. 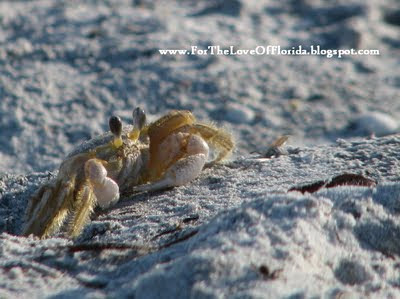 i have been looking forward to this more complete post on your 'early' morning visit to Ft. DeSoto beach. 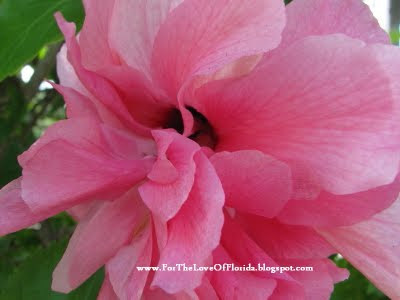 you are a very good wordsmith, but your pics really make your blog a treasure! as i've said before, you could get an assignment from National Geographics as a photographer/reporter. your scenes takes us right there or make us long to go again. you have become quite a bird watcher too! i can hardly tell the difference in some of them, but you not only spot them but identify them for us. thanks for the trip! You are so fortunate to live so close to the water. I trust you get there often. 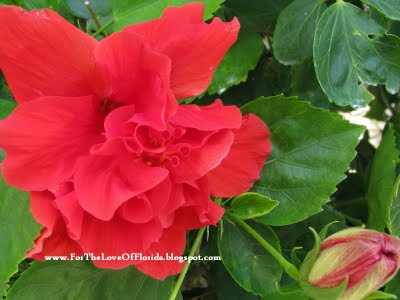 Fred Howard is a fairly easy drive from my house, too, and I have been there many times. They closed it for a while and we went to Sunset Beach instead when we'd take a drive over just to watch the sunset. 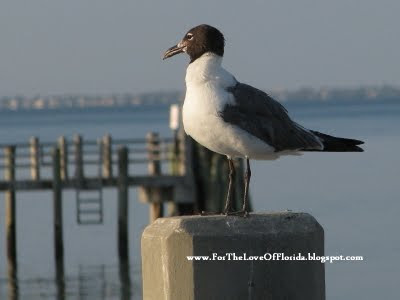 WE LOVE Tarpon Springs! I'm so glad you dropped by... you are so right... our state has amazing parks and so many of them right under our noses. You know how I love the Skyway Bridge right? The main reason I don't go to Ft. DeSoto is because I just have to look longingly at the Skyway from Ft. DeSoto... pitiful I know. Moms always say the nicest things about their daughter's photography. :-) You guys need to go camping there again... it would be so fun! Absolutely, you can get up REAL early and go with me to Robinson Preserve and Emerson Point. I love Florida's parks! Someday I'll visit them all. You're right about the late summer weather. We learn to enjoy the edges of the day when the heat is on the wax or wane. Great photos! You've got it ALL wrong. Literally. Your estimation of me personally and your nasty assessmet of your comment being removed. If I had removed your previous comment (for whatever reason) the notification would have read: 'this post has been removed by BLOG ADMINISTRATOR... not AUTHOR'. When the writer of the comment removes a comment the notification reads as yours does. 'This post has been removed by AUTHOR'. Truth is, you must have removed your OWN COMMENT at some point. I didn't do it. But I have to tell you, your latest comment I find so offensive that any future comments should you "decide to visit my blog again" will likely not be published. I'll not waste my time responding to your implications. These type of blogs are a place for friendly interaction... not conjecture on the character of the blog owner based on ill-information or jumping to false conclusions.